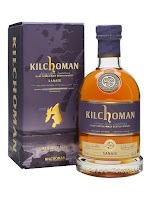 Continuing with the London Whisky Show 2016 reviews today, we come to Kilchoman. The small distillery we love to love. 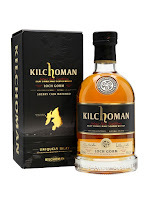 Antony Will’s (The Founder) was on the table and it was great to have a (quick) chat with someone who is obviously so passionate about everything Kilchoman. 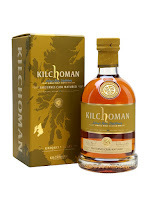 Nose: Quite big spicy and oaky notes, liquorice, some meaty Sherry, raisin, Kilchoman smoke. 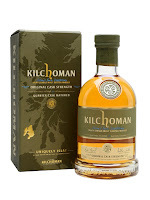 Taste: Soft arrival, then BAM!, meaty Sherry, big mineral Kilchoman smoke, very mineral actually with these rocky notes. Finish: Long length. Mineral, more malty, smoke. Much more Sherry cask involvement with this one, but less than Loch Gorm. It’s quite muscular and aggressive but good stuff. Nose: Similar to the Madeira edition from last year. Very sweet with fresh fruit, a bit unbalanced on the sweet side though. Taste: Sweetness from the off, peat coming through, mineral notes with white wine sweetness. Finish: Long length. Mineral with lots of fresh fruit. Released 2016. A little too on the sweet side for me. Nose: A bakery that uses peat (wut? ), lots of rising dough, pastry smells, cinnamon. Taste: Cinnamon, peat smoke comes through big with lovely fruity notes. 2010 vintage. You’ll remember I reviewed a different edition before but never found out the year/batch. This is completely different. While that was sulphury and rubbery this is a great fruity/peat combo. Nose: Lovely. Fruit, peat, sweetness, very fruity with a great balance. Malty with water. Taste: AMAZING stuff. Lovely fresh fruit, big peat and mineral notes. Amazing with water too, lovely citrus notes come out. Finish: Long length. A very mineral finish, but great. 2010 vintage. This is wonderful and gives a clue at how Kilchoman will taste at an older age I think as it was fully matured in quarter casks for 6 years. The Original Cask Strength really takes the hat here. It’s great and pretty reasonably priced (around £70). I would be tempted to buy one if I wasn’t on such a huge Ledaig spree at the moment.